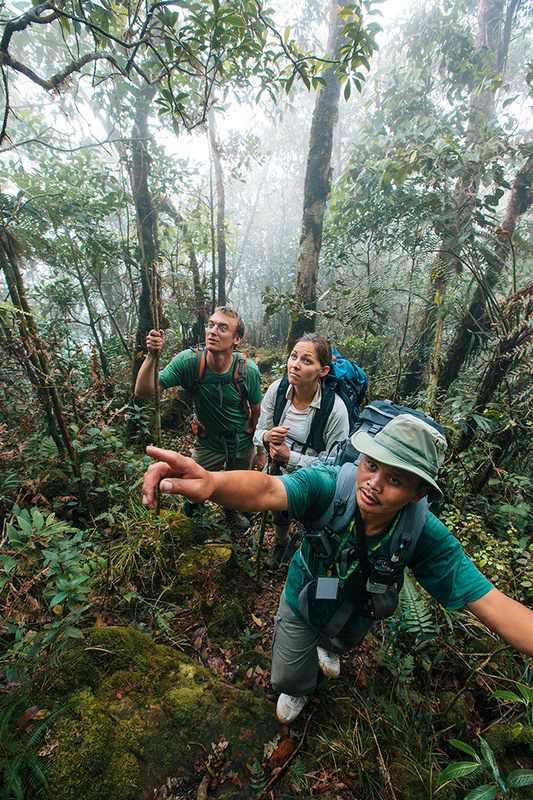 Botanists Merlijn Jocqué (Rutgers University), Rachel Schwallier (Naturalis Biodiversity Center) and Sukaibin Sumail (Sabah Parks) in the cloud forest on the summit of Mount Kinabalu. As your high school biology textbook reminds you, the tropics hoard a treasure trove of the world's plants and animals. And mountains in the tropics, where conditions range from hot and humid to cold and dry, are diversity "hotspots" harboring numerous endemic species – booty of biology found nowhere else. But, until recently, biologists couldn't say where all those unique species came from. Did species march up the humid slopes from the forested lowlands and then evolve in their new, colder homes? Or did skilled dispersers from similar climates in temperate zones, or other mountains, make the long jump to the tropical mountain's cooler, higher habitats? Mount Kinabalu, a UNESCO world heritage site in Sabah, Malaysian Borneo, is home to a unique, endemic biodiversity. Sure, biologists have tried to unravel the origins of mountain biodiversity. But understanding even one mountain's biotic origin requires knowing a vast amount about its flora and fauna, and the evolutionary journeys of their ancestors. Which takes some time, and people; a fact well known to the 117 contributors of a new study in Nature on the origin of tropical mountain endemics on 4,095-meter Mount Kinabalu, the highest mountain in Borneo. 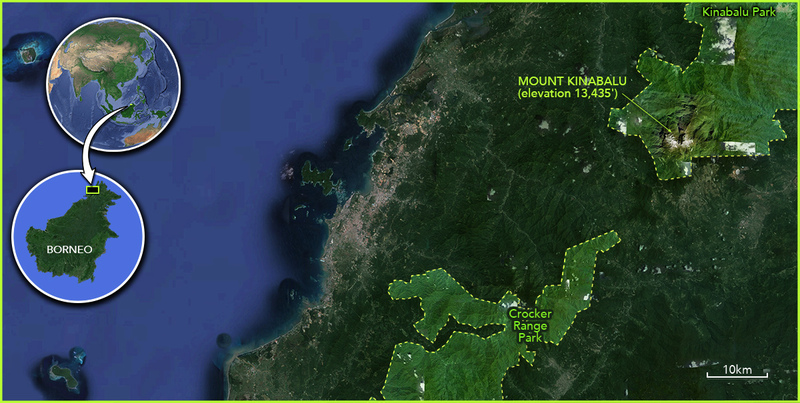 This week, Nature carries an article about Mount Kinabalu, Malaysia. Jutting from the Crocker Range in the East Malaysian state of Sabah, Kinabalu is a "sky island," and its flanks are biologically distinct from the surroundings. "Mountains like Kinabalu are therefore similar to oceanic islands," first author Vincent Merckx of Naturalis Biodiversity Center in Leiden, Netherlands, wrote to us. "Species [may] arrive there by dispersal over long distances, rather than from the surrounding sea (of forest)." Where did you come from, anyway? 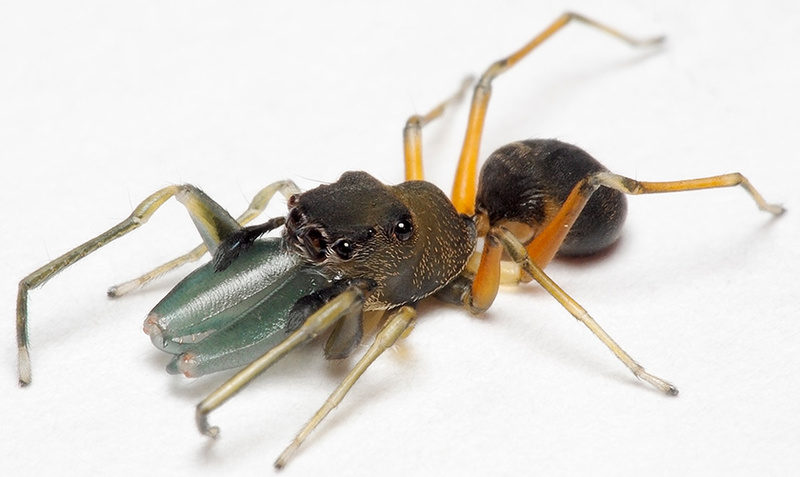 The ant-mimicking jumping spider Myrmarachne malayana is one of the more widespread species whose DNA was sequenced during the 2012 Kinabalu / Crocker Range Expedition. To test the origins of species on Mount Kinabalu, Merckx and 47 taxonomists carried out what could be the most extensive phylogenetic study ever of a tropical mountain. Rather than attempt to understand mountain-wide evolution based on data for a single group of species, the researcher collected organisms across the range of life, including insects, snails, worms, amphibians, plants and fungi. After sequencing the DNA of 1,852 organisms, they explored the evolutionary histories of 33 species not known to live anywhere else. That produced estimates of when the endemics arrived, and whether they originated in the nearby lowland forest or further afield. Some endemics, particularly those at the coolest, highest elevations, were more closely related to species living in temperate zones or tropical mountains beyond Borneo. Their ancestors were likely able dispersers, such as plants and ferns that produce vast numbers of light seeds and spores that can travel long distances. 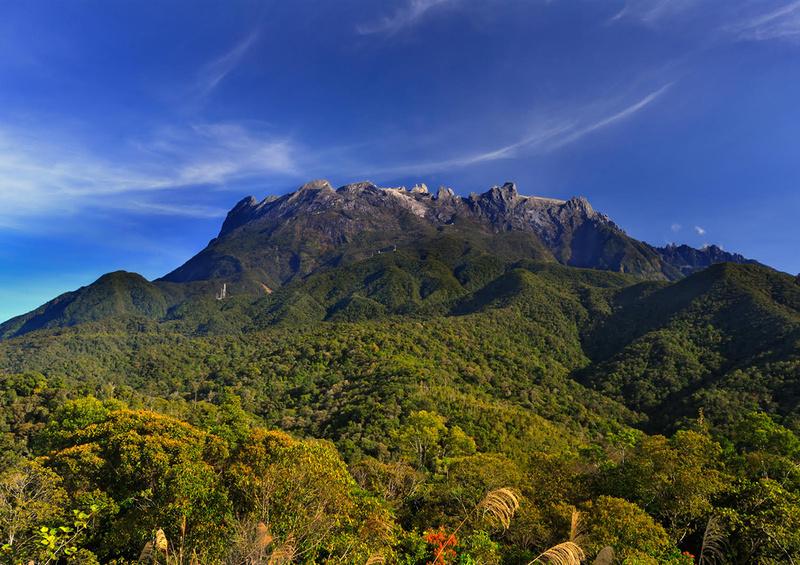 About 76 percent of the endemic species evolved within the past 6 million years, after Mount Kinabalu reached its maximum height. "They first colonized [from the lowland forest] and then speciated," corresponding author Menno Schilthuizen, of Naturalis Biodiversity Center, wrote to us. So Borneo’s forest was a rich pool of species that could create a diverse endemic biodiversity on the mountain. Mount Kinabalu demonstrates niche conservatism: the tendency of organisms to persist within their preferred environment over millions of years. 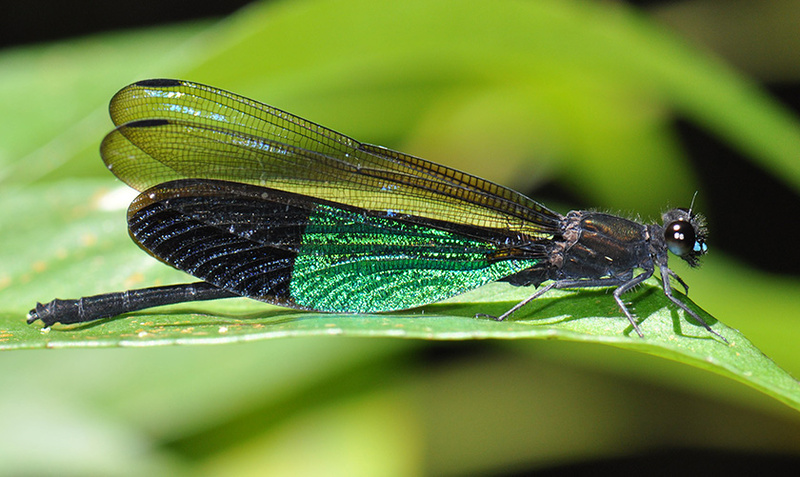 Euphaea basalis is a rare damselfly that only occurs along four streams in the mountain forest on Mount Kinabalu. None of this came easy, or cheap. As Schilthuizen wrote to us, “On average, each of 47 taxonomists probably spent two months full-time on work for the expedition. In addition, after the expedition, I'd say 2-3 full person-years went into analyzing and writing. So all in all about 22-23 person years of work” were needed to analyze biodiversity on one mountain. The study cost about 600,000 Euros or $670,000. We wondered, given the colossal effort required to unravel the origin of biodiversity on Mount Kinabalu, how these results compare to more limited observations of tropical mountains. "I think each of the scenarios we found has also been found in single-taxon studies,” Schilthuizen wrote to us. “But because we took a multi-taxon approach, it's possible to make general pronouncements on which scenarios are common and which are exceptional." Warming: A bad climate for endangered species?